What are the Benefits of Vendor Contract and Agreement Management and Inventory Control? What is an easy way to find Contracts and Documents? 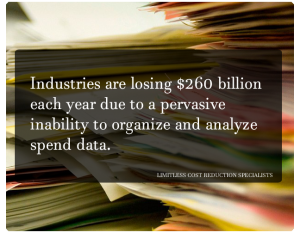 Companies are seeing on average 20% annual savings with Contract Management Solutions. Especially, companies with extensive equipment, hardware and machinery, contract management through a centralized software is gaining tremendous awareness in improving efficiencies. Demands such as increased regulatory requirements, efforts to meet compliance standards, investor spend management expectations and the need to apply hardened security measures are driving businesses to evaluate their current service contract management practices. Cloud Based Repository. Increased efficiency and productivity. Can I find rates, terms and conditions easily? Contract management is the management of contracts made with customers, vendors, partners, or employees. 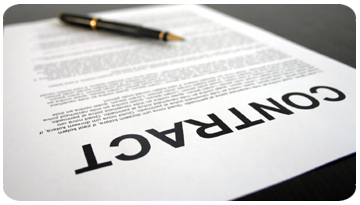 Contract management includes negotiating the terms and conditions in contracts and ensuring compliance with the terms and conditions, as well as documenting and agreeing on any changes or amendments that may arise during its implementation or execution. It can be summarized as the process of efficiently managing contracts and analysis for the purpose of maximizing financial and operational performance and minimizing risk. Contract management is a powerful tool because of the contract insights that can be understood through reporting. A good contract management solution brings tremendous insights on tangible metrics and provides insight that can help you make educated decisions and take beneficial actions. For companies with extensive equipment, hardware and machinery, contract management through a centralized software is gaining tremendous awareness because it can save businesses as much as 20 percent annually. These savings can be found in the reduction of both contract costs and time efficiencies allowing employees to focus on more strategic projects and responsibilities. The key advantage of a strong contract management strategy is consolidation. For Corporate teams, this means consolidating all of your machines, equipment, assets and warranties into one primary location, where you quickly gain a comprehensive view of your inventory; easily find terms, conditions and rates, manage warranty exit dates, additions and removals; and monitor service levels. With a centralized log of your hardware assets and contracts, time spent sifting through contracts by internal teams and management is heavily reduced, in turn giving management the opportunity to allocate resources elsewhere. Companies in good standing with vendors can earn additional discounts. By taking unused systems, phone, machines and any other equipment that is no longer being used off of outdated contracts and warranties and placing only active ones on contracts, businesses see an immediate savings on monthly and annual fees, as well as service fees and productivity losses associated with “unused” hardware. Know exactly what is happening with your contracts at all times, monitor timely equipment and contractual data and gain an accurate picture of your assets, all via a centralized dashboard. Fully managed software means you have an expert between your company and the vendor, saving time internally and ensuring that communication is efficient and accurate. The five benefits above clearly show how important proper management of your service contracts will increase efficiencies, improve your relationships with the service provider and drive cost savings throughout your organization. An added benefit is that you now have a greater vision into spending trends which allows you to budget and forecast more accurately for future investments. 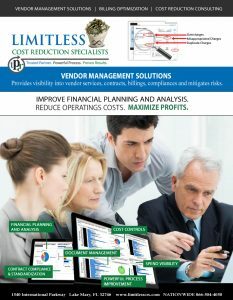 Run a more cost-effective and efficient way to manage your service contracts with LIMITLESS Vendor Management Solutions. Our software will not only house every contract, service agreement, warranty or renewal agreement, but we also manage negotiations for better rates and terms saving your business from unnecessary fees and costs while maintaining quality standards. If you have questions regarding how to manage vendor contracts/agreements or would like more information regarding our fully managed vendor management solution contact LIMITLESS at (866) 504-4050 or email us at info@limitlesstechnology.com.